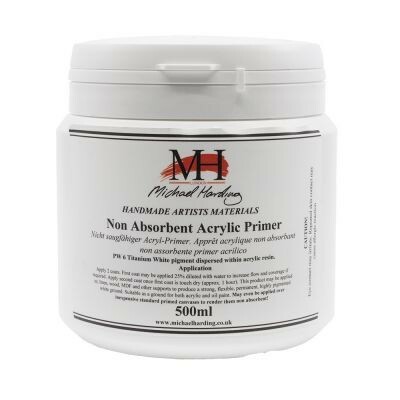 Michael Harding’s Acrylic Primer is an artists quality white ground designed for use with oils or acrylic paints. It is made from Titanium White (PW6) pigment dispersed with an acrylic resin. 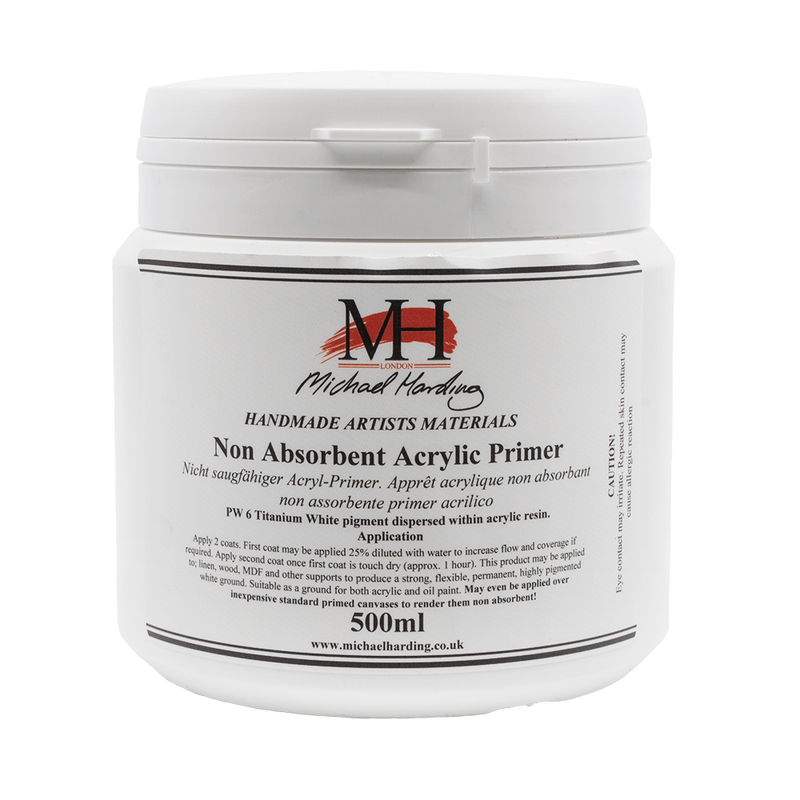 Flexible and permanent, this primer has been formulated to create a non-absorbent painting surface that will not draw oil from your oil paints into the support below. By preventing leeching this primer will prevent your paintings looking flat and dull, and your oil paints will retain the same brightness as when they were applied. It is best to apply two coats of this primer. The first coat can be diluted up to 25% with water (1 part water to 3 parts primer) to improve flow and coverage if necessary. A second coat can be applied once the first is fully dry, which takes approximately an hour. This primer can be applied to linen, wood, MDF and other support to produce a strong, flexible, permanent and highly pigmented white ground. Do not apply over rabbit skin glue or flimsy supports such as cardboard.